One of the great things about living in Nashville and writing for No Country is learning about new (to me) bands and then seeing them perform live. 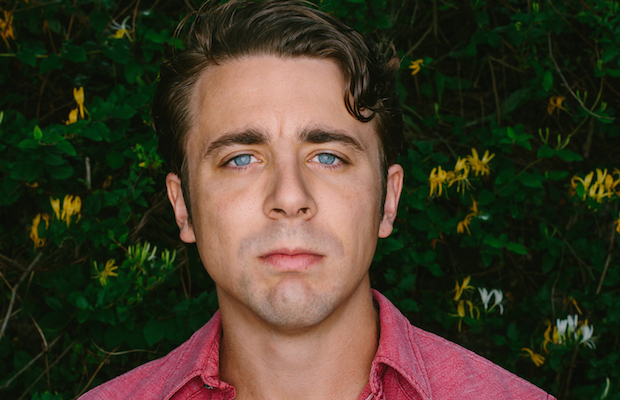 That was the case again when I recently caught Joe Pug and Chris Porterfield (aka Field Report) at The High Watt. Another cool thing about going out to hear music a lot is when you bump into the guy you saw perform the night before and can tell him how much you dug his set… like with Brian Wright this night. But, I digress… keep reading to hear more about Joe Pug and Chris Porterfield. Prior to the show, I learned that Field Report is more of a Chris Porterfield “project” than an actual “band.” Porterfield confirmed such when he took the stage and announced it would be just him performing the songs of Field Report. He kicked his set off with “Taking Alcatraz” and “I’m Not Waiting Anymore” from the self-titled first album, before doing several from their new release, Marigolden, including “Pale Rider,” “Cups and Cups,” and a stripped down version of the upbeat single “Home (Leave The Lights On).” It was a loose performance which even included a little Q&A and a couple requests. He initially indicated one request was in a different key but then said “I owe this to you” and went into what I assume was the requested song (something about Easter morning in New Mexico?). It was a good opening set with just his guitar, passionate vocals and beautiful lyrics. Porterfield gave several shoutouts saying how much he enjoyed touring with Joe Pug and company. While Field Report was not actually a band, Joe Pug’s backing band featured electric guitar and an upright bass and drums, with Pug playing guitar as well as harmonica on a few. They kicked off the set with “Burn and Shine” from their new album, before alternating older tunes, including the title tracks from Messenger and Nation of Heat (EP) and then “Hymn #76” from 2012’s The Great Despiser. As would be expected, the set was heavy on new stuff, but it was a good balanced mix of acoustic, bluegrass and country folk; dark and light themes; upbeat and slower tunes including solo acoustic versions of “Pair of Shadows” and “Hymn #35.” Pug’s somewhat surpisingly light hearted personality was evident between songs. For the encore, Pug brought Porterfield back onstage to do one more tune. Truth be told, we may have snuck out towards the end of that song so not sure if anything else followed. On a positive note, we got into the car and turned on the radio in time to hear the Predators score three quick goals enroute to a 5-2 win, and caught the end of the game at our favorite Eastside watering hole.